Tasting Note: Inspired by the historical import of casked port into Scotland during the nineteenth century, the peated spirit has then undergone a final maturation in the finest port pipes, from the Douro Valley in Portugal. Our whisky maker has hand-selected and expertly combined these port pipes, to create a rare and surprising expression of The GlenDronach. 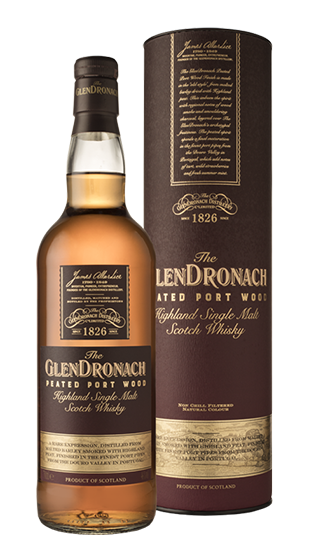 The GlenDronach Peated Port Wood is bottled at 46% ABV, non chill filtered and natural colour.